Glass front door is hinged to easily access treasures up to 3/4" thick. 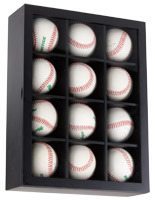 Shadow box has a solid wood construction with a linen covered backing to secure items. Mounting hooks for vertical or horizontal positioning. 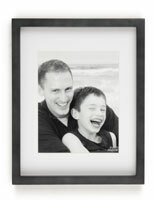 This shadow box has a solid wood black frame that will look nice in any setting. 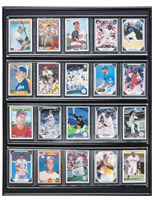 Some of the most popular places that this collector case may be seen are in homes, scrapbooking stores, hobby shops, offices, and schools. 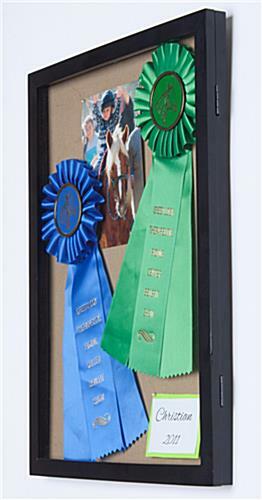 Each shadow box will work well with awards, ribbons, patches, collages, dried flowers, photos, and more. 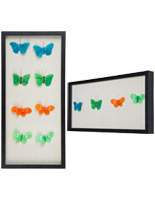 This frame is specifically designed for displaying three dimensional objects. 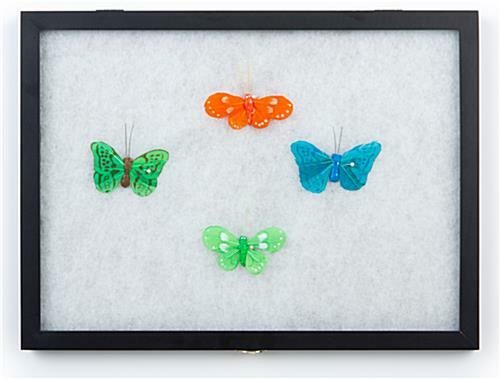 Each keepsake case is a shadow box that comes with a removable white cotton sheet. The cotton will hold items up to 3/4" thick in place. This display frame is a shadow box that has a fabric covered mounting board to exhibit a wide range of items. The hard backboard can be removed if needed by the sliding clips. The front door of the shadow box has a glass panel to view the memorabilia. 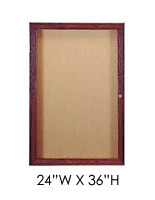 These hinged doors provide customers with convenient accessibility. This shadow box hangs on the wall in either portrait or landscape orientation. 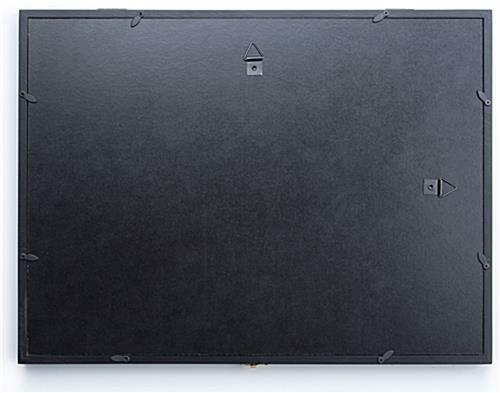 The back of the frame is equipped with (2) hanging hooks for a fast and simple set-up. 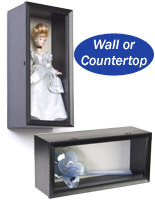 This display case is a shadow box that is black to create a neutral backdrop to any collage. 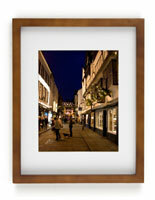 Each collectors frame is affordable and when purchased in large quantities, consumers save even more money. 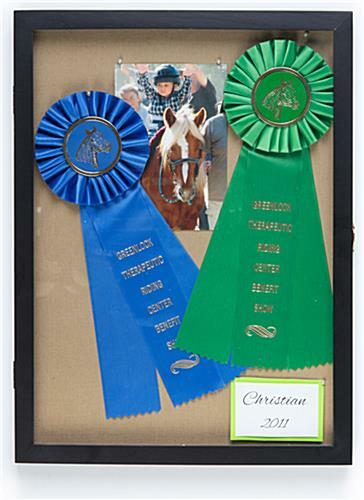 Large organizations, such as schools or businesses, can make eye-catching presentations of awards and accolades with this shadow box, when multiple units are mounted side-by-side. Each case will protect the treasures, while allowing them to be viewed for years to come. 12.0" x 16.0" x 1.0"
We received the shadow boxes very quickly which was nice. They are much thinner than we expected and the backing in them is very difficult to poke (we tried pins, thumb tacs, and staples), the tacs stick out but it was the best we could do. The backing on some of them is not secure or cut well (it is curved in when it should be straight on the sides). Overall, they do the job we needed them to do but I wish they were better quality since they are displayed for our students to see. I searched for a display case for my daughter's piano ribbon awards. 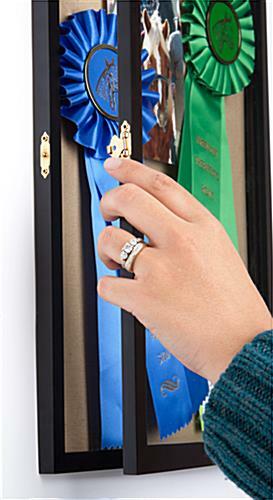 This is perfect because she can add the award pins to the ribbons as we go through the piano program. The initial ribbon award is quite big so I needed a larger frame. The only downside is that I had hoped to find a white frame and this one only comes in black. This was exactly what I was looking for to store a ribbon of importance for my Co-Pastor. This turned out to be a lovely gift.